The PS3 motion controller - looks a bit like an old Zipstick joystick without the base. A senior Sony executive has insisted that the PlayStation magic wand motion controller will be better than rival offerings like Microsoft's Project Natal and the Wii Motion Plus because the focus will not only be on family games. Nintendo's Wii has rapidly expanded the potential market for family video games, and prompted some major innovations from Microsoft with its forthcoming Natal and the Magic Wand from Sony. John Koller- from Sony Computer Entertainment America – believes that serious gamers and their traditional fare, sports and shooting games – should not be left out. "We look at motion control as being that much more than what exists on the market," Koller told GamePro. "In terms of the best types of games, I'd say that right now we're looking a real wide variety of genres that can utilize the technology. "I think the areas that are going to be really critical to our success will be family games, as well as shooters and sports games. Those are going to be the areas that will really define success, because they're areas that quite honestly, I think Project Natal and the Wii are going to have trouble matching, from a differentiation standpoint." 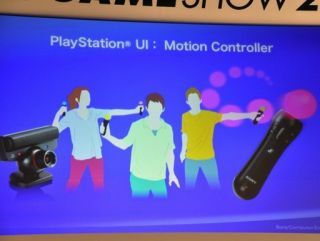 Sony is obviously excited about motion control and its forthcoming launch on the platform – with Koller explaining that the direction will be clearer when the product arrives. "When we provide further details, people will see exactly where we're going, not only from a technological standpoint on the hardware, but also where the gameplay is transitioning. It's going to be a really exciting launch."